There weren’t a lot of arcades where I grew up, but the arcade machines that did exist consisted mostly of beat-’em-up games made by either Capcom or Konami. I think the leap to 3D is what made this genre die out as games like Fighting Force failed to wow people and franchises like God of War and Devil May Cry took the core concepts and made them into more flashy single player endeavors. 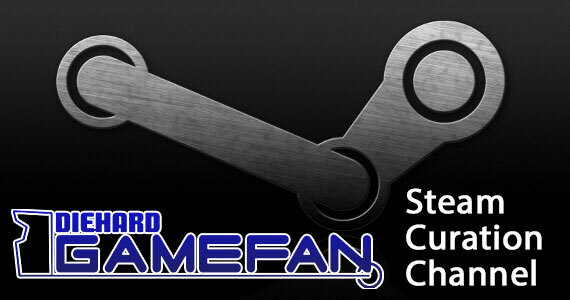 With the popularity of services like Xbox Live Arcade and PlayStation Network though, they’ve been coming back in force. Playing the recently rereleased Dungeons & Dragons: Chronicles of Mystara reminded me of what fantastic co-op experiences these games can be and how well they’ve aged over the years. 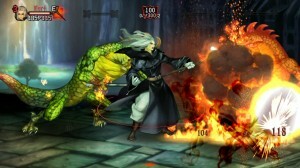 Which is why I was incredibly excited after playing Dragon’s Crown at E3 this year. It felt like an evolution of those old D&D arcade titles, and for good reason; the director of the game, George Kamitani, had previous worked on those games. And the good news is, Dragon’s Crown succeeds in carrying on its legacy. Much like D&D, the story that plays out before you is very much a product of your own experience. 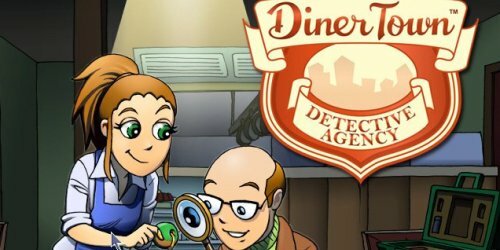 A narrator introduces your created character to the world around you while simultaneously explaining the key elements of the game. You start off doing odd jobs for the Adventurer’s Guild before being summoned to the castle and being tasked with becoming involved in the nation’s political affairs. You eventually learn of a mythical item known as the Dragon’s Crown, a headpiece said to contain the power to control dragons. As you may have guessed, you’ll eventually be on the hunt for said trinket and will be expected to slay many beasts before getting there. Despite the dialogue choices given, all roads eventually lead to the same place, though it’s up to you on how you want to progress. In fact, there will come a point where you can tackle stages in any order you want, though the level requirements for some of them may discourage going out of order too much. The plot does take a back seat to all of the action going on, even though the often chatty narrator would have you believe otherwise. Still, the framework of the backstory is enough to get the ball rolling and succeeds in putting into context all of the fighting you’ll eventually engage in. Before you even start playing, the eye-popping visuals will likely catch your attention. 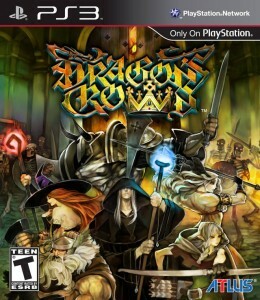 Regardless of the disproportionate features of some of the characters, Dragon’s Crown is the best looking title Vanillaware has ever done and quite possibly the best looking 2D game ever. Each of the characters and enemies are very colorful and move with incredible fluidity, and each of the game’s backdrops looks like it was hand drawn from the ground up rather than put together with a tileset. Engaging with NPC characters is done from a first-person perspective with a slightly animated portrait facing the screen as if they are conversing with you. Even these look like a painting come to life and it’s just mind-blowing to see it all come together. Fortunately, Atlus didn’t make any compromises with the audio either. Both English and Japanese audio tracks are available for your created characters to speak whatever language you want. If you want your fighter to speak English but your amazon talking in Japanese, you can do that. 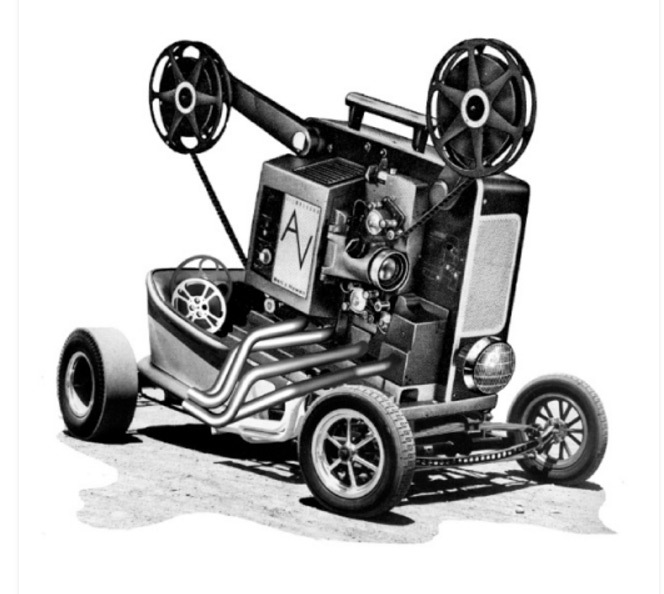 Both dubs are very well done, including the English-speaking narrator who carries most of the voiceover burden. He can get a bit annoying at times when repeating the same lines over and over after exiting from a building in town, but at least you’ll never wonder where you left off. The soundtrack is well orchestrated throughout, with more peaceful and somber tracks playing while in town and some of the more epic and upbeat songs blasting during dungeon crawling and boss battles. Everything comes together in terms of presentation, which it always has for Vanillaware, so you can count on the consistency from prior games to carry over here. With a game that looks this good, one would expect all style and no substance, but fortunately that is not the case. When you begin the game, there are six different character classes to choose from, each with incredibly varying play styles. In addition to naming your character, you can also change their color scheme and pick a few text quotes for them to spout when they drop into a game or have their bones found by a player. The fighter is essentially your tank and can learn abilities that will allow him to absorb damage and attract the attention of the enemy. The dwarf is a melee powerhouse that can even pick up monsters and large objects and throw them around. Amazons are also devastating melee fighters, but with two handed weapons that can cut in large swaths. Elves are archers (as is typical in fantasy) and are best when attacking from a distance, though they have to watch their arrow count. Rounding out the cast are the wizard and the sorceress that can both summon creatures and unleash powerful spells that use MP that must be recharged constantly. Dragon’s Crown does a fantastic job of not only making the characters feel different, but acclimating each one to players of varying skill sets. 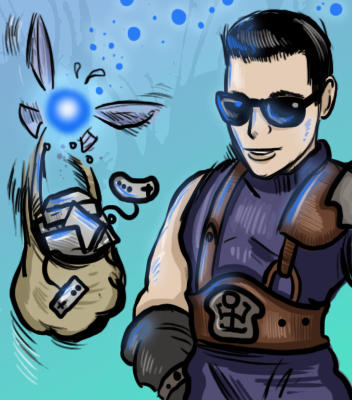 The casters have the aptitude to output the most damage, but due to the need to recharge MP constantly, they’re built more for skilled players where something like the melee fighters are made for jumping right in and getting into the mix of things. Despite their core differences, since the base controls are the same, it’s still easy to try a new character and grasp the basic gist of what to do. You can jump/glide/float with X, pick up items with triangle and both the square and circle buttons serve as your basic attacks. R1 will let you dodge incoming attacks, the effectiveness of which you can modify with skill points (more on that later). You also get a rogue that follows you into dungeons and can be guided using a small hand directed with the right analog stick. By pointing and clicking on things in combination with L1, you can have him open treasure chests, unlock doors, and unearth hidden treasures. Aside from base weapons, your characters don’t really have assigned equipment slots, leaving the task of customization up to the player. So rather than boots, belts, bracelets and the like, you have to make a decision as to whether you want one of each kind of armor or if you would rather reserve those slots for additional potions and spells. You can eventually purchase more space, but at the beginning it can be a tough call on what to prioritize. Any spells or usable items can be scrolled and subsequently used by the directional pad when needed and will be automatically restocked when in town a set number of times. Any equipment will have to be repaired on your own, though. When you complete a stage, your scores are tallied and you are awarded with whatever gold and items that were found along the way. Since gear is automatically picked up by your rogue, Rannie, you don’t have to compete with other players to pick it up. Online players get their own rewards, but anybody playing on the same console share a pool of gold and items. You won’t know what it is at first and thus can’t use it, but you can choose to sell it as is based on the level and grade of the item, or you can spend a little to have it appraised. You’ll eventually obtain multiple bags that can be outfitted with multiple sets of gear for long adventures where the durability on your equipment may run out. So rather than just returning to town right away, you’ll eventually come to a point in the game where you have a choice to continue on to a random dungeon location with higher potential for rewards. Before progressing, you and your comrades will set up camp where a number of food items are laid out before you and can be cooked in a variety of different ways. When cooking, the resulting item can be put on your own plate or your comrades’ plates and will award bonuses depending on the end product. It’s a neat risk vs. reward system that encourages you to maximize your preparation for the best and most efficient outcome. If you don’t have enough players to fill out a full party, there are a few options open to you. Bones are littered throughout dungeons that can be brought back to a temple and resurrected, awarding you an NPC to be used at your leisure. And these characters stay with you until you let them go or they die in a dungeon, which sounds like it could be problematic, though it’s not as bad as it sounds. When you or your computer controlled comrades expel all of your lives, you can use gold to bring them back to life, but only if done within the time limit. Bones of players you interact with online can also be revived to add that character and their current gear to your roster. While couch co-op can be accessed at any time, I was a little perplexed to find that you couldn’t go online until you unlock the stables in town; something that requires you to complete each dungeon at least once. While completing every dungeon is not the end of the game (as there are multiple routes through each one that must be conquered), it does mean that you can’t go online right from the get go. At least when you do access the feature, it’s rather seamless with online players able to drop in and out at any time. 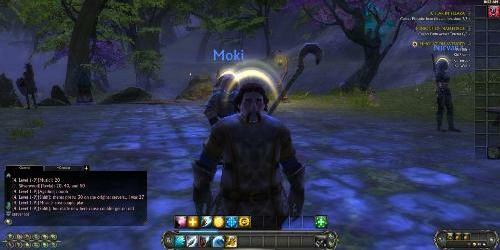 It also seems to be cross region, as I had a number of Japanese players assist me in my quest. The Adventurer’s Guild provides a place to spend skill points for improving your character as well as a hub for all of the quests you take on. Points can be dumped into common skills (which any character can utilize) or into class-based skills, which add new abilities and strengthen existing ones. Each quest comes with a number of rewards, such as money, additional skill points and unlockable artwork. 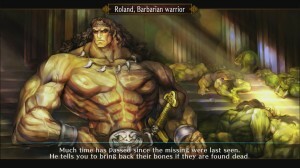 In most cases I would say that unlockable art is the lamest reward you could possibly offer in a game, but when it’s Vanillaware art, I would grant that as an exception. Plus, each piece has a mini-story behind it which makes seeking them out even more worthwhile. Dragon’s Crown took me approximately fifteen hours to play to the end on normal, which is an impressive length for a game of this genre. It’s important to note that like the D&D titles that preceded it, much of the appeal comes from the replayability. As such, you have to be comfortable with playing through each stage multiple times to conquer each route and build your character levels and gear. Because if you’re not suitably equipped or prepared, the final boss WILL crush you. Fortunately, the various quests that you obtain from the Adventurer’s Guild provide a number of different goals for each venture into a dungeon, such as defeating the boss within a certain amount of time or protecting NPC’s from an enemy assault. Initial completion of the game will unlock another difficulty and boost the level cap, giving you incentive to play beyond the credits (with an additional difficulty level unlocking after that). A bonus labyrinth can be explored at this time too, and there will be a coliseum that will be located just outside of the city for combating others in a player vs. player environment. There’s a lot to do here, is what I’m getting at. If you own the Vita version, there’s an option right from the main menu to transfer your save data back and forth, though there is no cross buy option. There’s also no cross play feature either, so even though the games are virtually identical, you can only play with people who own the same version as you. This is incredibly unfortunate to fracture the player base like this and it’s something I hope they consider patching in later. Despite the tepid response to PlayStation All-Stars, cross play was such a neat thing to have. The combat in Dragon’s Crown is so robust for a beat-’em-up game, that it ranks up there as one of my favorite titles in the genre alongside Guardian Heroes and quite possibly my favorite Vanillaware game period. It’s a joy to play alone, but further enhanced with the addition of friends, and also one of the few games that I wish was longer. I know that this is a developer that really doesn’t do much with sequels, but I would completely endorse more of this concept. 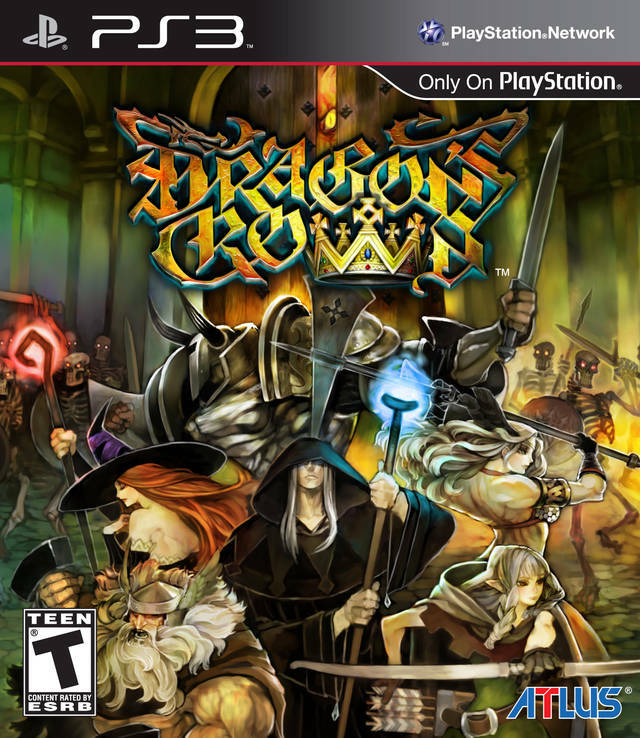 If you enjoy beat-’em-up games, especially Dungeons & Dragons: Chronicles of Mystara, then you need to check out Dragon’s Crown. Each of the game’s six character classes play differently enough that each one feels like a new experience with individualized skill sets that can be customized by the player via skill points. 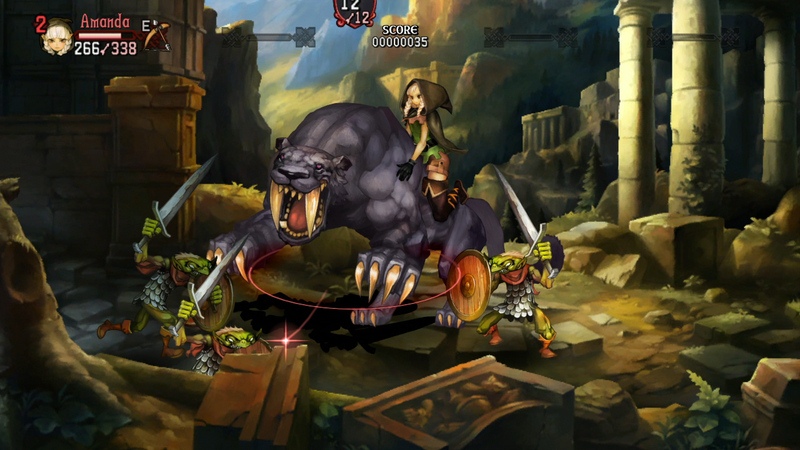 Co-op play can be accessed both locally and online, though the latter requires that you be at a certain point in the game, and computer controlled allies can fill in any empty slots. The experience is also quite lengthy given the genre, though it does require a good amount of backtracking in order to progress. And let’s not forget how breathtaking the artwork is. The lack of cross buy or cross play with the Vita version is certainly a disappointment, but despite that, Dragon’s Crown is worth every cent.